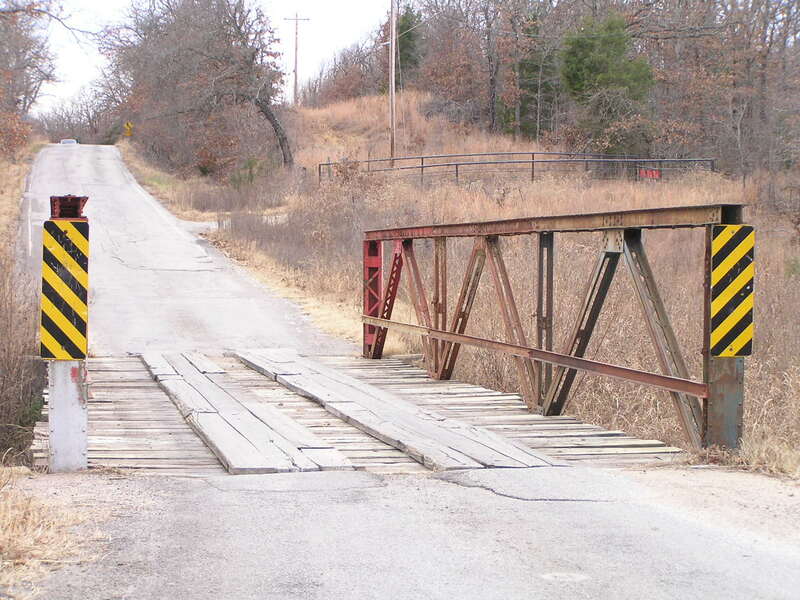 Mud Creek Bridge, Tulsa Co. 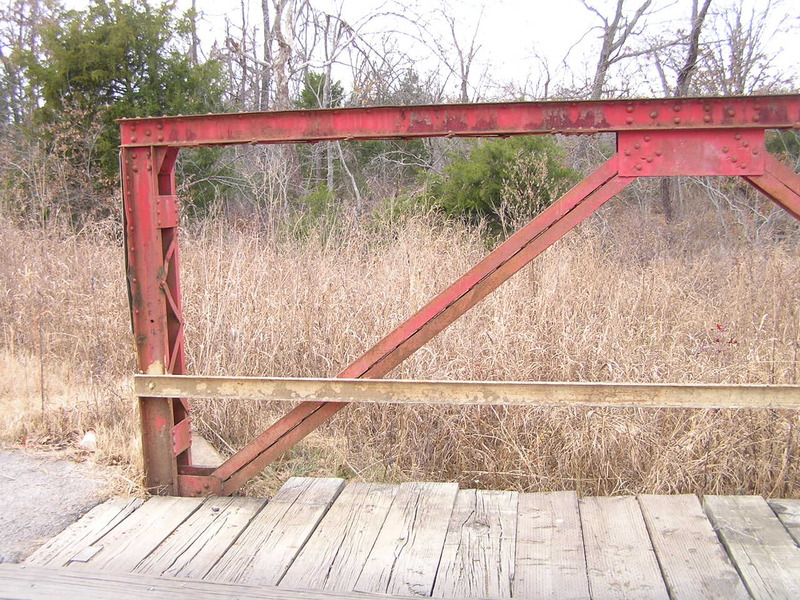 Built or moved here in 1930. this 50-foot riveted Warren bedstead carries Cripple Creek Road in western Tulsa Co.
Below, the bridge now sits on concrete abutments, and not on laced channel leg extensions of the vertical endposts. 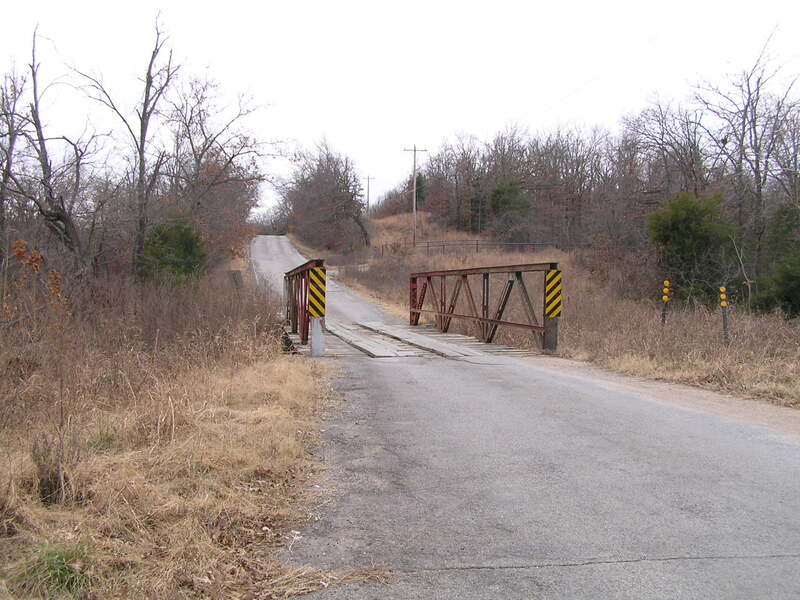 Above, and below, these two views compare a "repair" to the original at one end of the bridge. As you can see above, the endposts and last diagonal have been replaced. Note that the lower end of the diagonal isn't placed quite right- it should connect lower-at the lower chord. 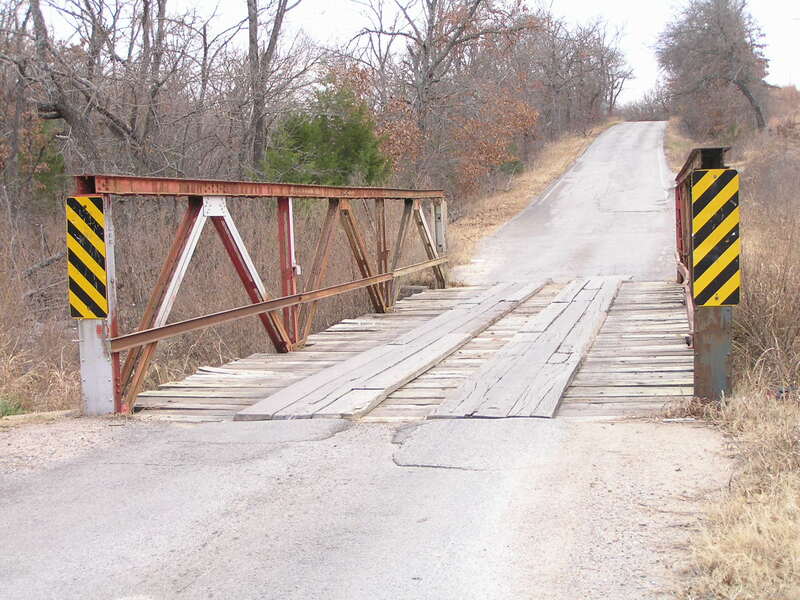 Where it connects here doesn't actually form a triangle. 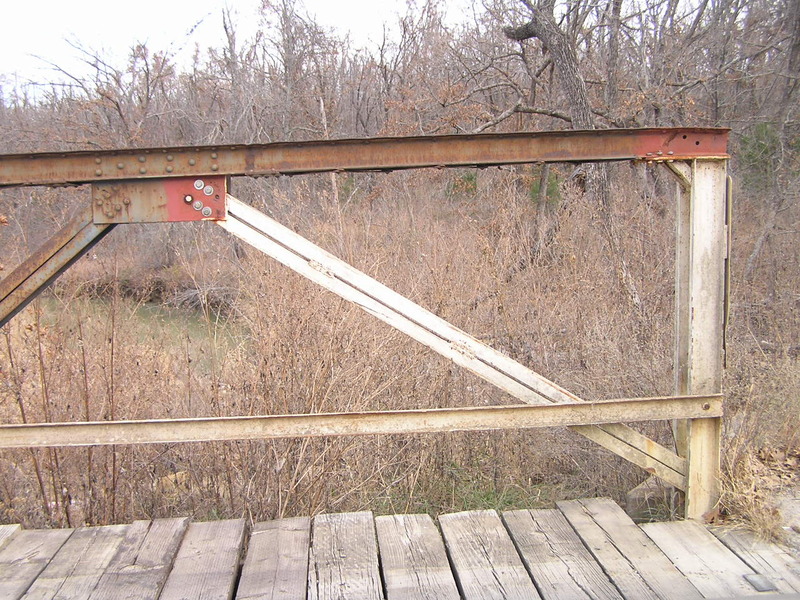 In the view below, you can see diagonal going down much lower-so that it connects to the gusset plate that attaches the lower chord. Above, another view through the structure. 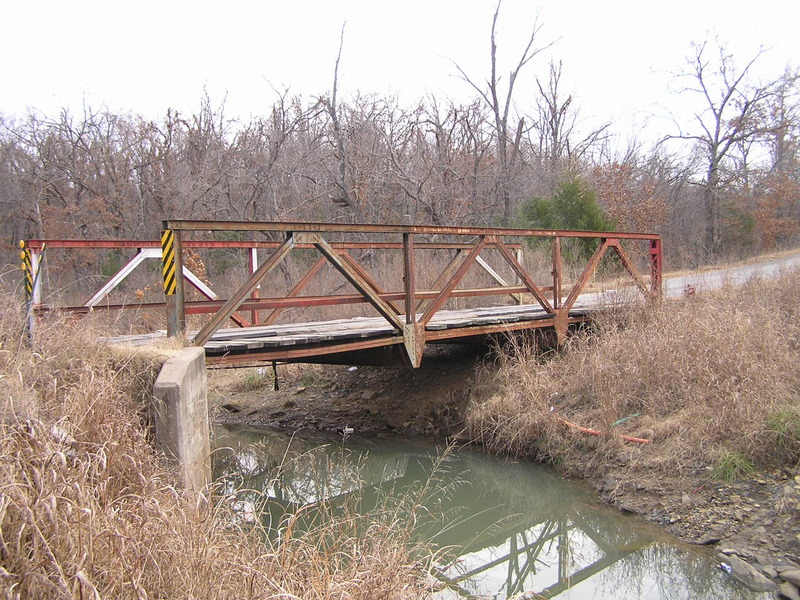 A total of three Warren bedsteads exist in Tulsa County.